Sweet Hollywood presents a fabulous 5 tier Royal Diamonds & Pearls Wedding Cake / Engagement Cake that we have crafted for display purposes for potential bride and groom looking for something different. The cake itself is displayed within one of London’s leading events and wedding decor companies Spectrum Events showrooms. 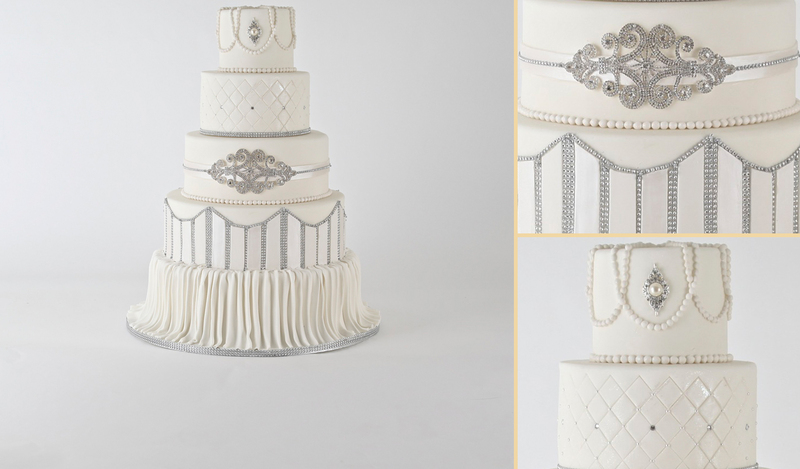 The Royal Diamonds & Pearls Wedding Cake / Engagement Cake features beautiful detailing that can be customised to your style.